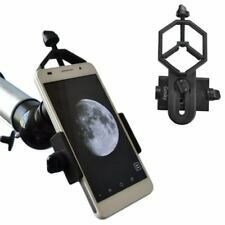 Gosky Titan 20x80 Astronomy Binoculars with Braced-in Tripod Adapter. Gosky Heavy Duty Adjustable Table Top Tripod for Spotting scopes Binoculars. Gosky Titan 12X50 High Power Prism Monocular and Quick Smartphone Adapter - Waterproof Fog- proof Shockproof Scope -BAK4 Prism FMC for Bird Watching Hunting Camping Travelling Wildlife Secenery.